Contacts initially received the new Material interface back in August, and it was further updated last month in v3.1. Version 3.2 finally brings the dark mode that all of you have been whining for. The dark mode toggle is accessible via the pull-out menu. If you're seeing "Dark theme in device Settings is on" where the toggle should be, then you need to disable Night mode in Developer options. There don't appear to be any other changes. If you'd like to check dark mode out, you can download the Contacts v3.2 APK from APK Mirror right now. 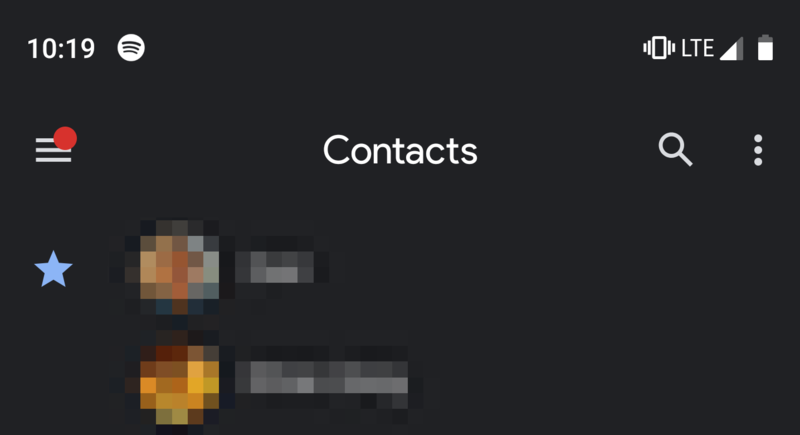 You'll probably have to force-close Contacts after updating to see dark mode.